After four months’ erection work, the 450 tonnes of scaffolding is in place. 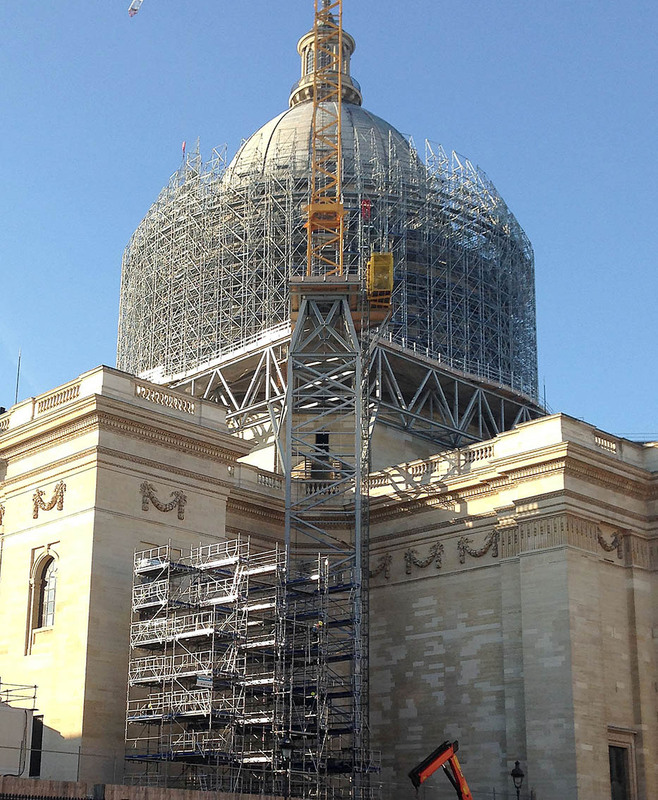 This monumental scaffolding sits on a bridging scaffold. 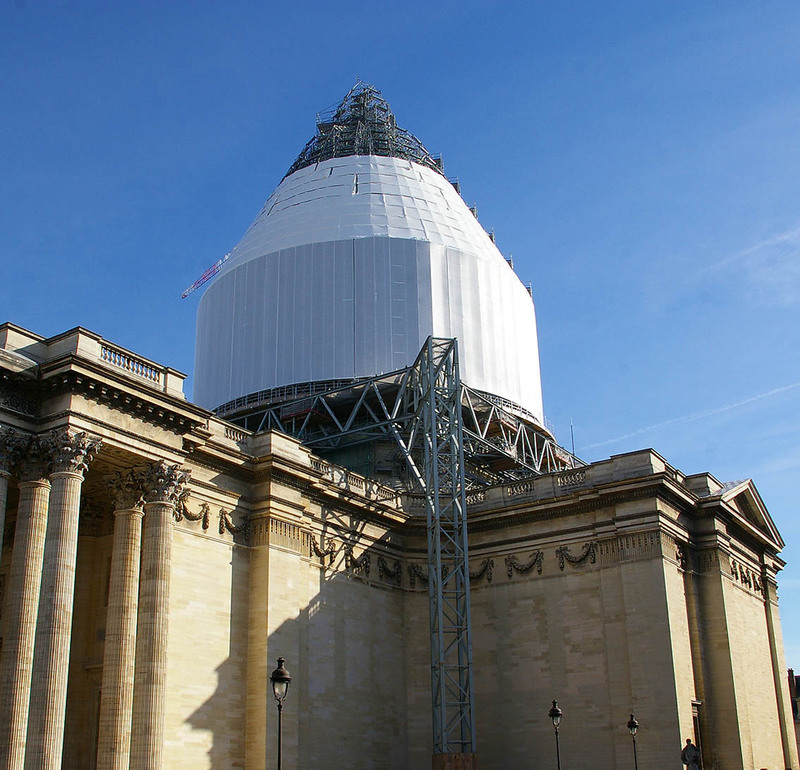 All of the supports used during erection have been removed so that the temporary roof now stands only on the imposing 315 tonne metal structure, which rises to a height of 37 metres high and is installed on 17 metre deep micropiles that act as foundations. 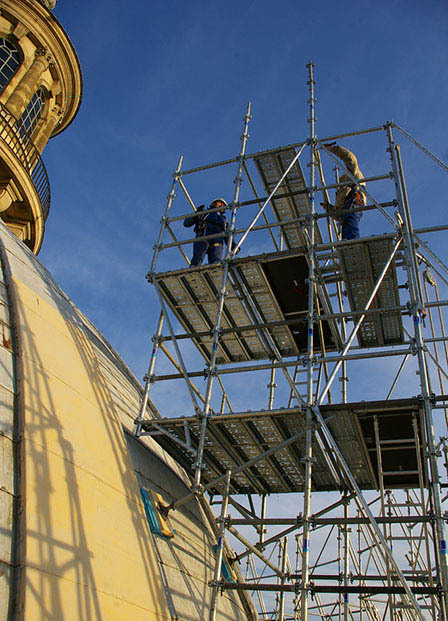 The scaffolding allows the stone masons, sculpture restorers, carpenters and metalworkers to work in the best possible safety conditions as they restore the drum with its colonnade, the cupola and the dome light. The work is scheduled to last until February 2015. 250 people will be working constantly on this site who will: replace 285 m3 of stone, micro-exfoliate an area of 10,500 m2 of stone, re-point 6000 m2 of stone and install 350 linear metres of strapping. During a later phase, scaffolding will be installed for the restoration of the dome’s interior. 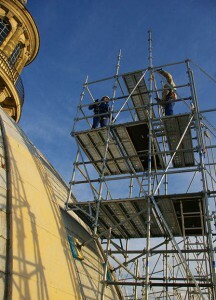 This will require a further 60 tonnes of equipment, erected over six weeks.